A Buck for All Seasons | Small, but valuable. It’s still deer hunting season, but even when it isn’t, we have a buck year-round. And because we’re so incredibly creative, his name is Buck. (I actually didn’t name him, and I actually do like his name. A little bit of obvious naming never hurt anyone.) He was Scott’s first buck, and I happen to think he’s kind of nice looking. There’s a Buck for hunting season. 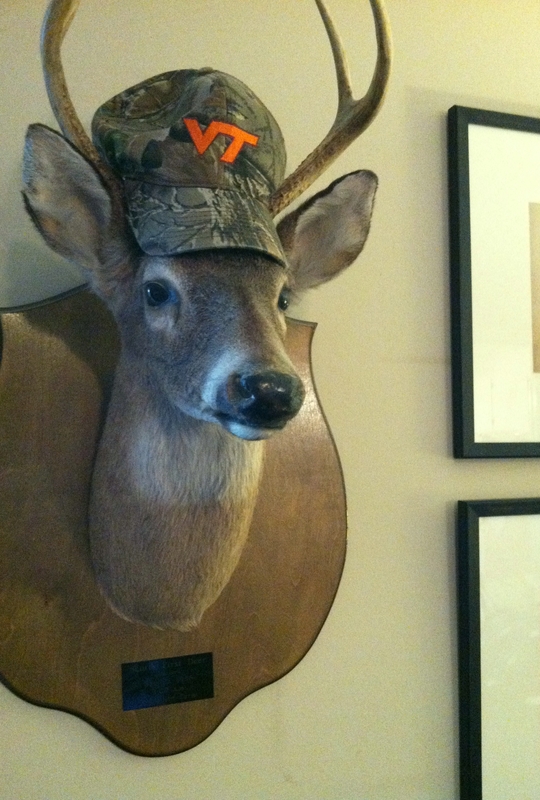 He’s hiding and supporting Virginia Tech simultaneously. He’s crafty like that. 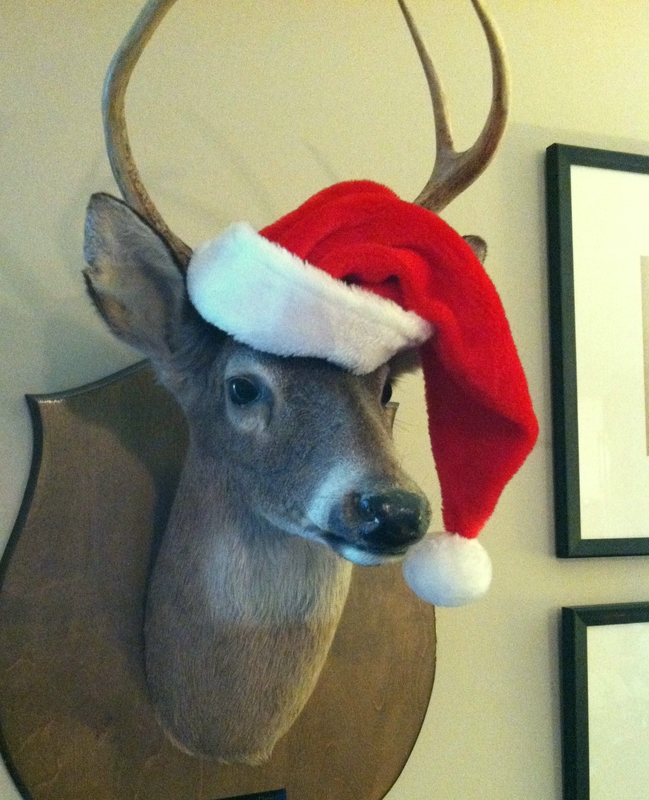 There’s a cheery Buck for Christmas (coming to a wall near me sometime in the next 24 hours). And there’s my personal favorite, a Buck for late winter. I think his scarf is pretty dapper. So what’s my main point here? Even when you don’t expect to someday have a deer on your wall, you might just find yourself liking it. A lot. P.S. 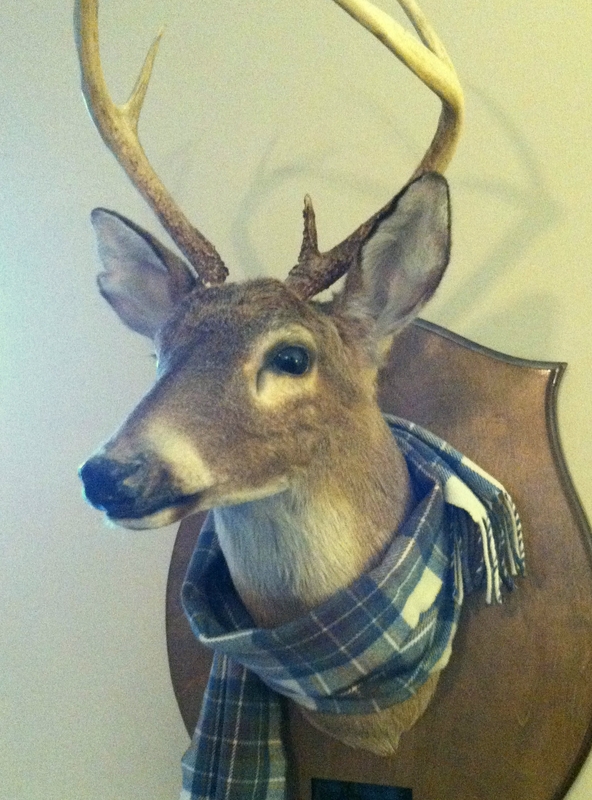 I would hate to make Scott’s manly taxidermy look girly. For over six months a year, Buck is unadorned and 100% manly.